It seems there is more ways than one to sew a French Seam. Continuing on in my quest to learn more about the various types of seam finishes and getting a nice neat result on the inside of my projects, I've been reading several tutorials and books on the French Seam. While the end result often looks the same, there are a few variations and I've cut it down to what I think is the best/easiest way. 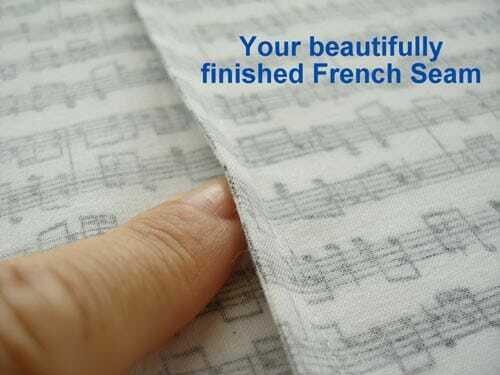 The French Seam is a two-step process that encloses the raw edges of the fabric within the seam itself to leave a neat and finished seam on both the inside and the outside. Although it could be used on most fabrics, you fill find it most commonly used on very fine, sheer or delicate fabrics such as chiffon, silk or organza. Best used on light to medium weight fabrics because of the additional bulk created in the seams, and also best on straight or only slightly curved seams for the same reason. Not really suitable for set-in sleeves unless you are an expert! My research shows there are two ‘camps' when it comes to sewing a French Seam. 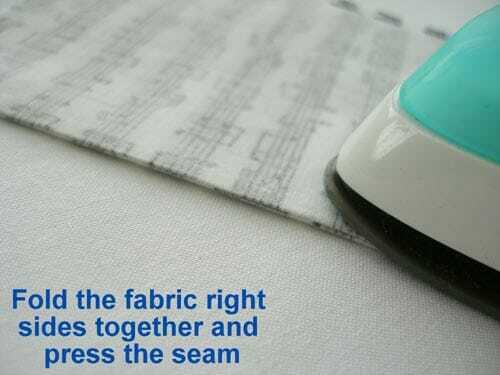 Those that pre-plan and add the necessary additional fabric to all seam allowances in advance, and those that do not and sew very narrow seams within the original width of the seam allowance. 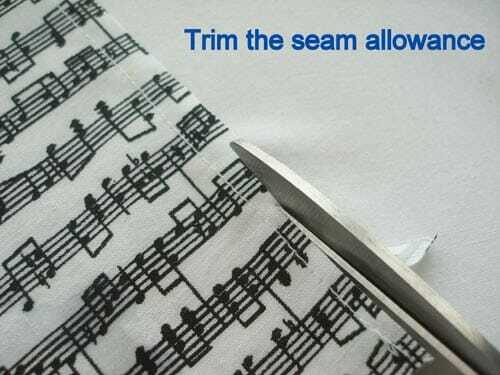 In the interests of keeping everything ‘So Sew Easy', let's have a look at the second method and just work within the seam allowance we already have. First, lets look at a standard seam allowance – on commercial patterns it might usually be 5/8th of an inch. So if we divide that by the two seams we have to sew, we can make one at 2/8th (that's the same as a 1/4 inch) and one at 3/8th of an inch. It makes sense to make the narrower seam the first one because that has to be sandwiched in the second one. 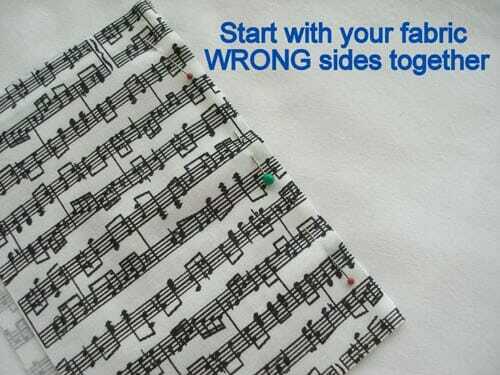 Start with your fabric WRONG SIDES TOGETHER. 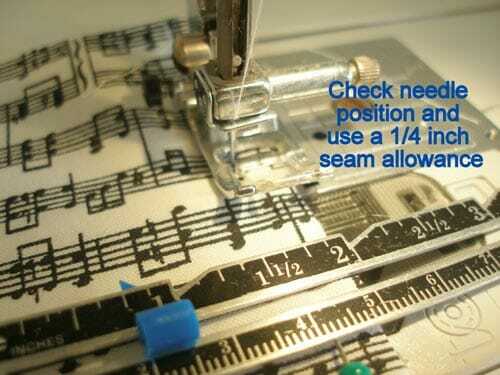 Yes, I felt I had to shout because this goes against everything we've always been taught about seams. But it will work out just fine in the end. 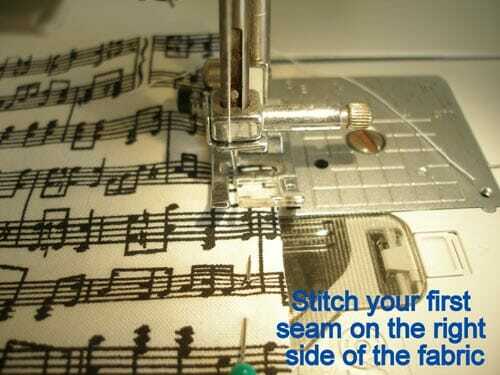 Sew your first seam at 1/4 inch. Press the seam flat exactly as sewn and then trim it down a little. If you have a fabric that frays a lot do take care to remove all the little strands or these might pop through to the finished side later. 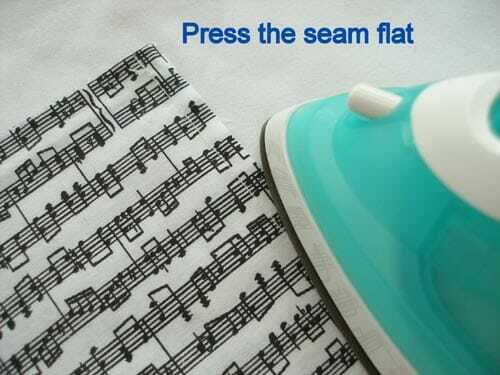 If you have pinking shears that leave the little zig-zag edge, you can use those, or simply use a rotary cutter or your regular fabric scissors to trim the seam. Press the remaining seam over to one side. Then fold the fabric along the first seam line with RIGHT sides together and press again. 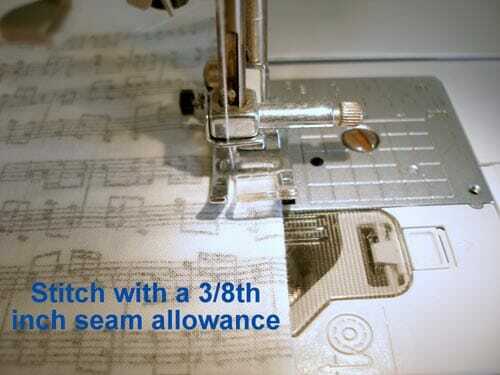 Now you are ready to sew the second seam, using a 3/8th of an inch seam allowance. Press this seam over to one side and there you have it, beautiful inside and out, all within the original width of the seam allowance and really not that difficult. There will be an opportunity later in the year to use this seam – look out in June for the Easy Breezy Blouse pattern. Next in the series – the Turned Under seam finish. Looking for previous seam finishes? Wow ! Never thought it’d be that easy – never thought of doing it that way before – brilliant – thanks so much ! My favorite way to do the first part of the seam is to do a narrow three thread overlock stitch on my serger/overlocker. 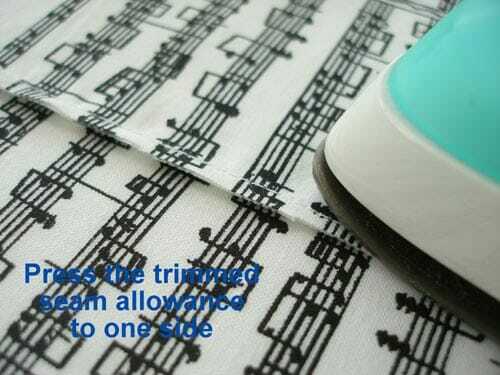 By using the serger, it eliminates those pesky fine threads you may need to trim. I haven’t found it to add much of any bulk to the seam. That sounds great. I hope to get a serger one day and I’ll give that a try. That was the way i learned it about 35 yrs ago. I had to make a flower girl dress for my brothers wedding and i had a friend that her mom was a pro and she taught me how to do it. I was so scared when i started it since i hadn’t been sewing for very long. It turned out perfect and it was so easy. Damn! That was easy! 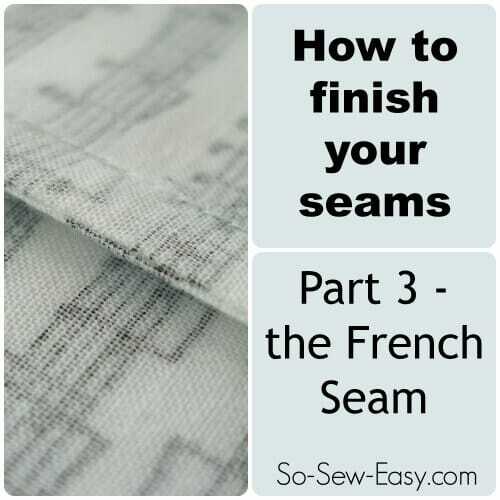 I was kind of confused by the whole French seam thing, somehow it seemed very convoluted to me, but you have made it so (Sew lol!) easy! Thank you! Love your blog!